Interactions creates award-winning speech and language understanding solutions used by Fortune 500 companies worldwide. Our technology provides consumers with the power to interact naturally and efficiently with customer service systems and the rapidly emerging Internet of Things. 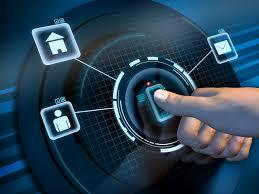 Interactions enables accurate and seamless multimodal interfaces that work across devices, applications, and services. Interactions provides the most accurate and scalable speech recognition and language understanding engines available today. In addition, Interactions invented and generated widespread commercial adoption of its Adaptive Understanding™ technology, seamlessly integrating artificial intelligence and human intelligence. Interactions solutions have processed more than a billion consumer transactions. Visit www.interactions.com for more information. Sensory, Inc. is the leader in embedded speech and vision technologies for consumer electronics. Sensory is a 60 person private company technology development company that is profitable and has a stable customer and employee base. It has 50+ patents issued or applied for focusing on embedded speech and vision technologies. - TrulyNatural™ large vocabulary and natural language speech engine for state of the art deep learning speech recognition in a smaller footprint that can be embedded or cloud based. This highly scalable and accurate solution can fit into as little as 1 MB of memory and can scale to recognizing millions of phrases. To date, the company's products have shipped in over a billion units of leading consumer products including Bluetooth® devices, smart phones, home electronics/IoT, toys, and automotive. Sensory's customers represent the leaders in consumer electronics and include such companies as Audiovox, BlueAnt, Hasbro, Hamilton Beach, Huawei, Jensen, JVC, Kenwood, LG, Mattel, Motorola, Plantronics, Samsung, Sony, Toshiba, Uniden and more. Sensory, Inc. has its headquarters in Santa Clara, Calif., with additional offices in Portland OR, Boulder CO, Hong Kong, and Tokyo. Visit www.sensory.com for more information. 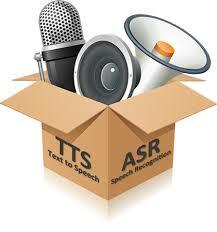 Cepstral provides speech technologies and services for the spoken delivery of information. We’ve taken our strong foundation in the field of speech science and developed a streamlined process for building synthetic voices, resulting in the ability to deliver solutions to meet the demands of the rapidly emerging speech application market. Our technology is easy to incorporate and operates in a small memory footprint with low computing resources. Visit www.cepstral.com for more information. The increasing usability of that connection through interaction with natural language and speech. The importance of these trends is perhaps best exemplified by the competition between general intelligent assistants to do more and be everywhere, but the real opportunity is for companies to develop specialized virtual assistants that can leverage the popularity of the “personal assistant model.” The conference investigates the implications this trend for app developers, personal assistants, device manufacturers, contact centers, automobiles, content delivery, advertising, and social networks, as well as the extension of intelligent assistants to web browsers, TVs, and other platforms. Sources and best practices for supporting technologies, such as speech recognition, natural language interpretation, speech authentication, analytics, and more are also covered. Be identified with this trend - sponsor! Get the full value of publicity leading up to the conference (most of which will list sponsors) by signing up early. And take advantage of early sign-up discounts.